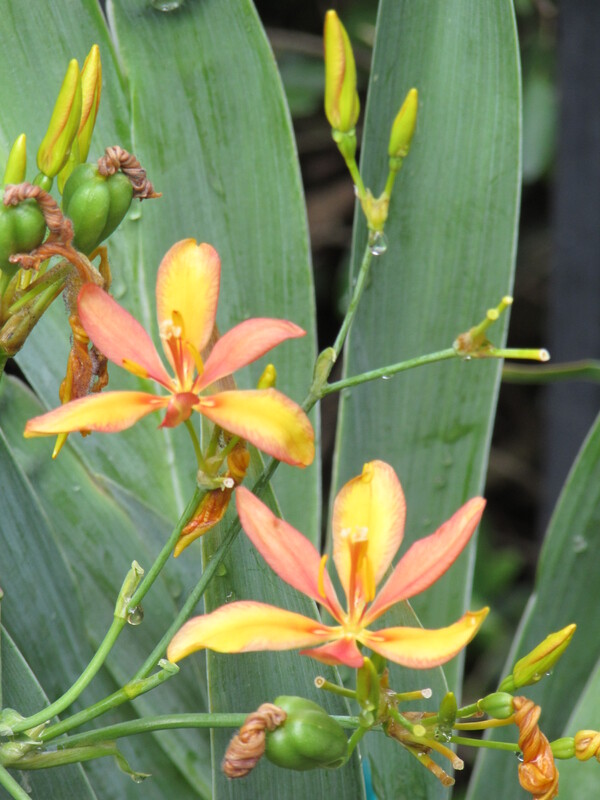 Blackberry lily – Iris Domestica, a new plant we are trying! 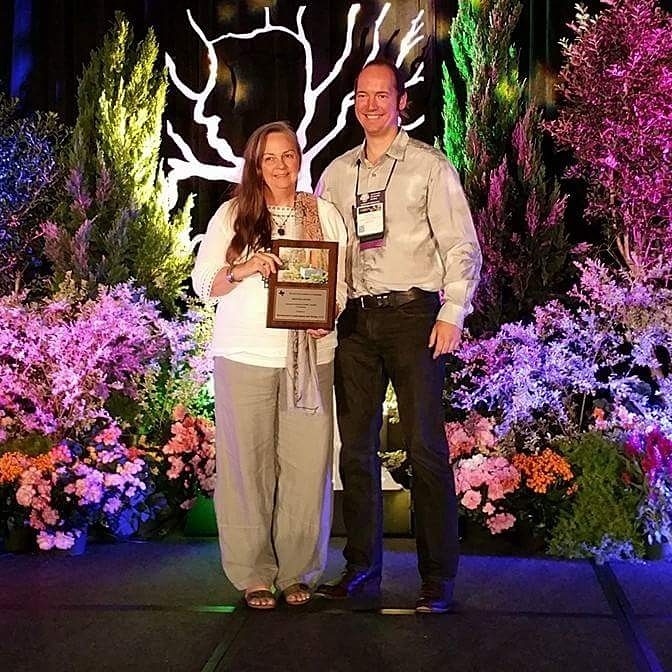 One of my favorite growers is Treesearch Farms They have a large selection of native plants and also more unusual plants than other growers I use. 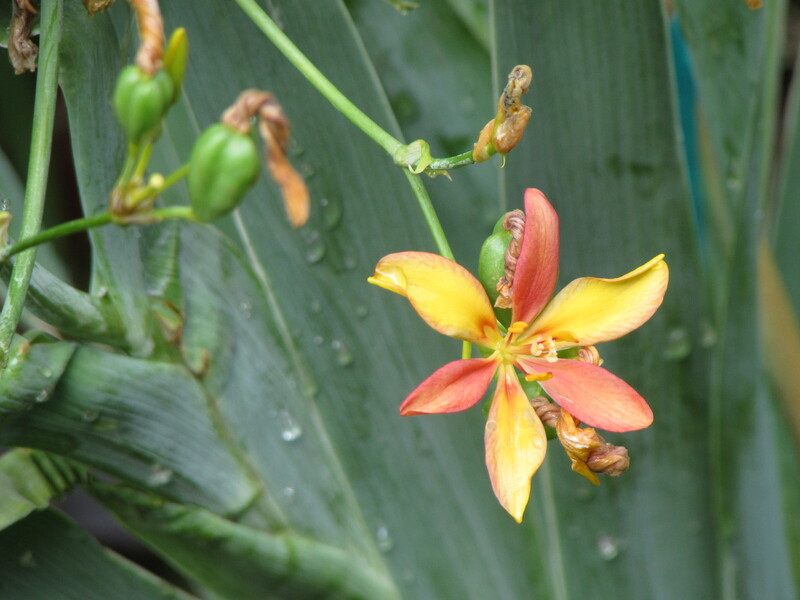 New on the list this year was the Blackberry lily. When I checked on Google to see what it looked like I had to try it! I don’t do orange often but these were pretty and bloomed in summer. I also got some for a new client that wants some wow in her flower bed. I am in the process of re-working the two beds that we look out onto across the garden while sitting on the porch. It was becoming over grown with Indigo spires and it was time. 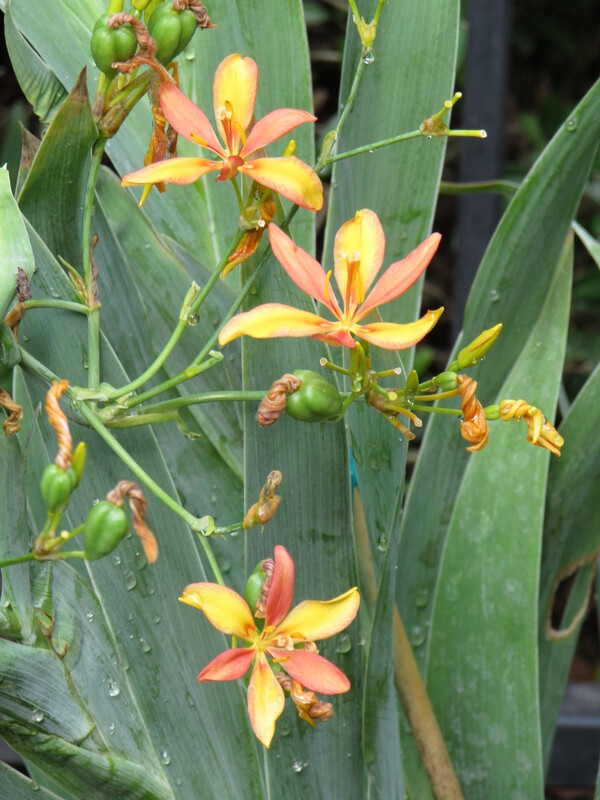 Blackberry lily in full bloom. But these didn’t have spots. I love the yellow and orange against the sage green leaves. Also knows as a leopard lily because of the spotted flowers, they are actually not lilies at all but in the Iridaceae family. 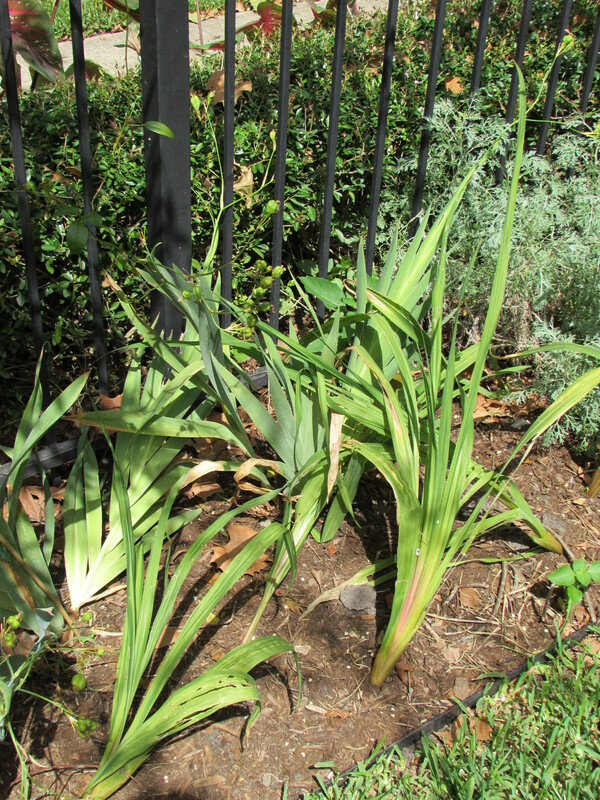 Iris Domestica, herbaceous perennials with erect sword shaped leaves that grow between 2 and 3 feet high from a rhizome. The vibrant star-shaped flowers with six petal-like segments called tepals, are lily-like thus the name. Flowering from early to mid summer on wiry naked stems with beautiful orange to yellow flowers often with red dots. Individual blooms only last a day but the clusters can continue to bloom for several weeks. 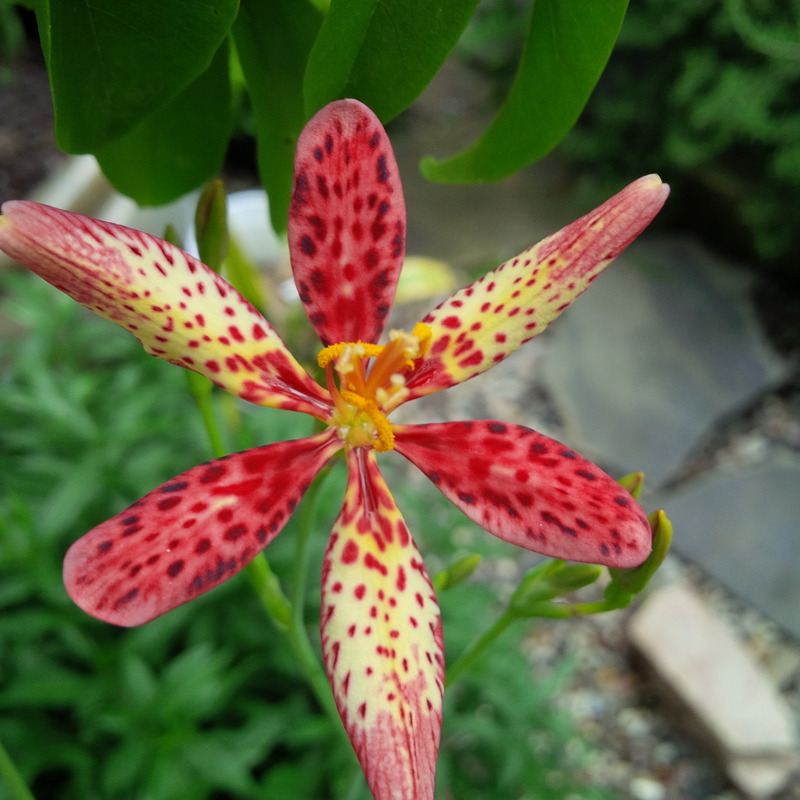 The leopard lily is a flowering perennial native to eastern Russia, China and Japan. The dried rhizome has been in use for a long time in rural villages of China for their medicinal powers. Currently, studies are underway to investigate its apparent potential against prostate cancer. After flowering it goes to seed with pods that when opened have a blackberry-like seed cluster leading to one of its names. 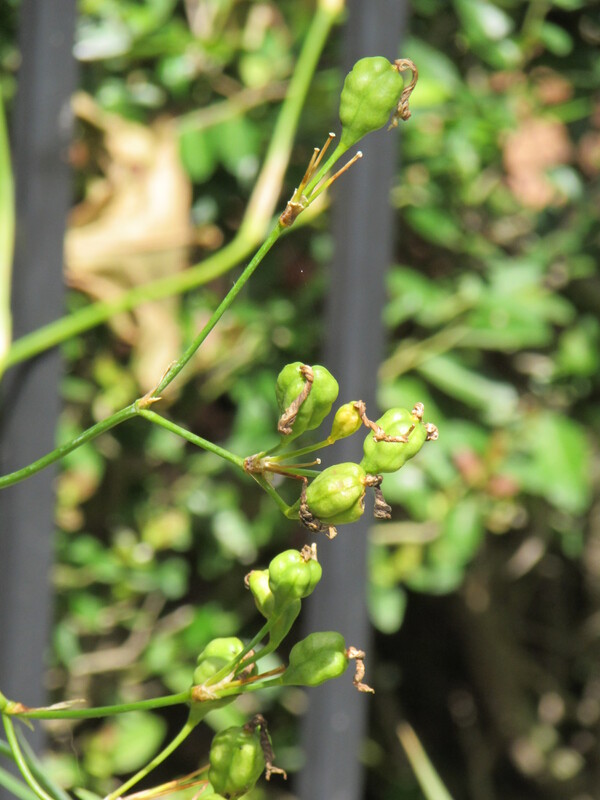 The seeds pods remain on the stalks and once they open the seed heads offer good fall and winter interest. Or you can add them to a vase of dry flowers. I am looking forward to seeing them open up. While this plants is new to me it has been around in the US for quite a long time. 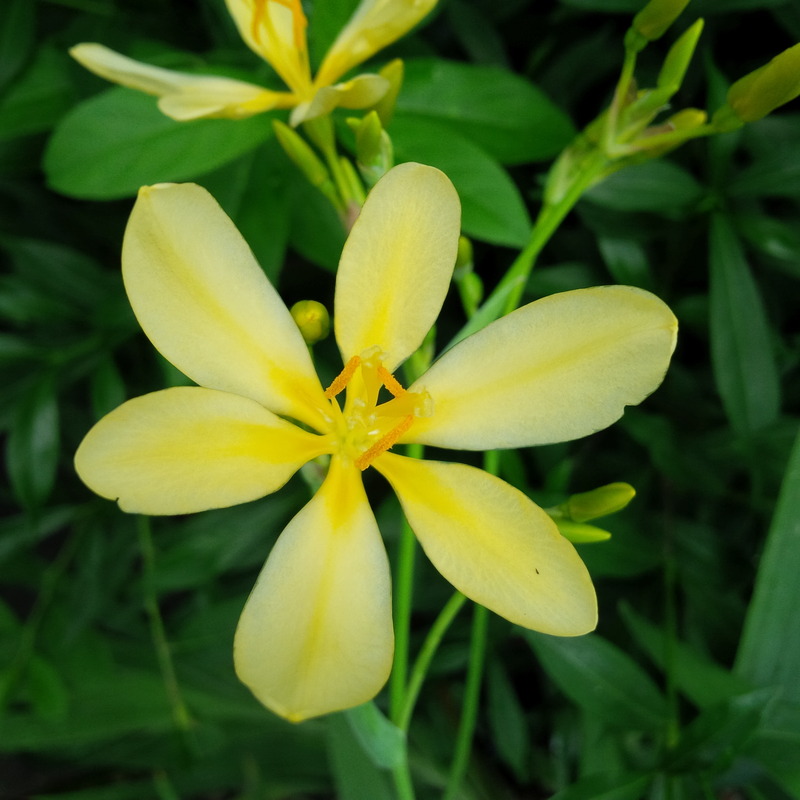 Thomas Jefferson called this Asian perenial a “Chinese Ixia.” He received seed from nurseryman Bernard McMahon during his second term as President of the United States in 1807. He sowed the seeds at his home Monticello. There are naturalized blackberry lilies growing at Monticello today believed to be descendants of Jefferson’s original plantings. Love how some petals are orange and some yellow on this plant. 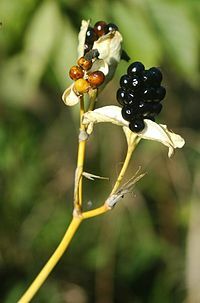 Blackberry lilies are suppose to be easy to grow as long as you plant them in full sun and make sure they have good drainage. That might be a problem here with our gumbo soil but I am hoping my earthworm rich soil will be fine. Clumps slowly expand by creeping rhizomes. They may self-seed in good growing conditions. 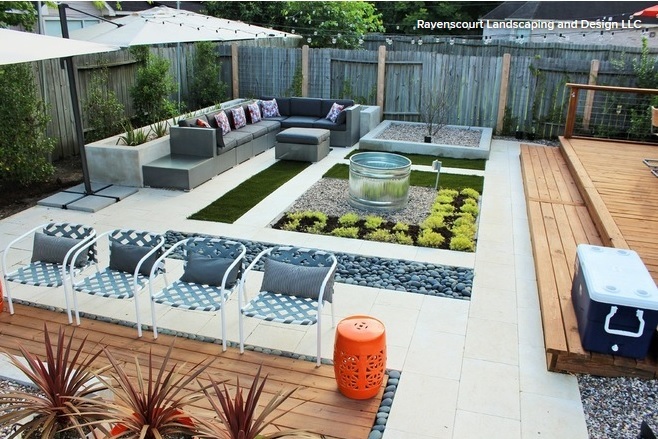 This helps them stay in the garden as the plants are known to be short lived. While it prefers moderately fertile loamy soil, it can grow sandy or clay soils. It will be shorter when grown in poor, dry soil, and taller if the soil is rich and moist. My research said no serious insect or disease problems except perhaps Iris borers may attack plant rhizomes. Planted in early July and I can see they are rooting in nicely. I have them planted just inside our front gate where they get morning and mid-day sun but are spared the heat of the late afternoon sun because of our tall sycamore trees that line the right-of-way! It is fun trying something new and venturing out of my red white and blue color scheme. I hope they fill in so they can hold each other up : ), perhaps I should stake them for a while. This flower is from one of the plants in our holding area. Formerly knows as Belamcanda chinensis but renamed based on molecular DNA sequence evidence. Belamcanda chinensis, the sole species in the genus Belamcanda, was transferred to the genus Iris and renamed Iris domestica in 2005. If you don’t find these in your market I found they sell bare-root plants at American Meadows, with shipping beginning in late March based on ground temperatures, warmest zones first. Hi BW, I haven’t tried toad lilies. I will check them out. I do have many clay loving lilies. 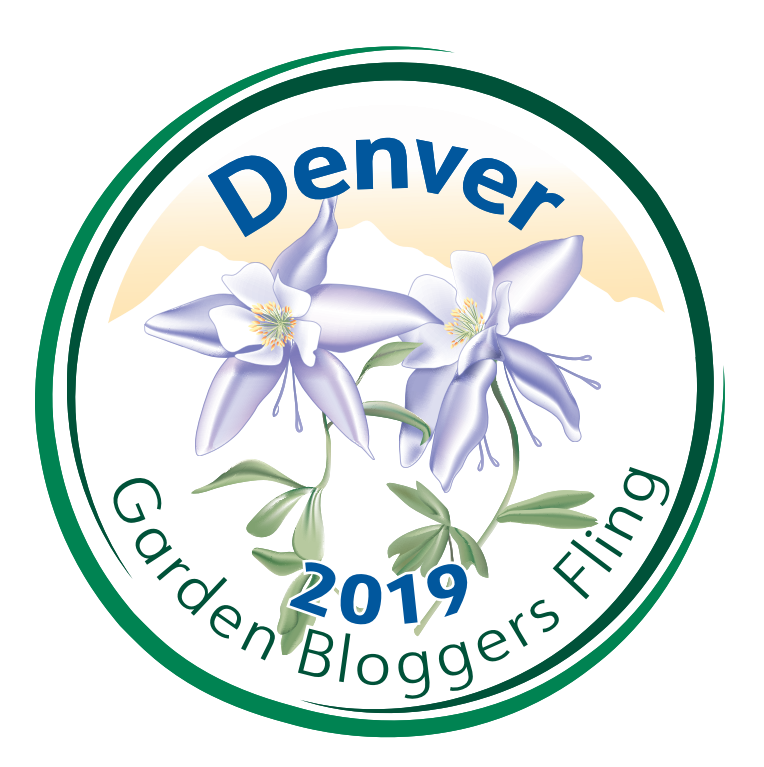 My spider lilies are just starting to bloom : ) I really love crinum lilies because they naturalize so easily and are found in graveyards and around the border of long gone homes out in the country. My very favorite lily is zephyranthes they go by Rain lily or Fairy lilies. London does have similar soil to Houston. Houston is build on a large alluvial plan with lots of rivers (bayous that all spill out into the bay). And yes it floods! I am on a little bluff 23 feet above sea level and in the 500 year flood plain, thankfully! What a pretty plant. I’m interested to see how it works out for you.